Stressed? Distressed? Tired? Plump? Hurting? Yoga is the tonic that every woman needs! It aids relaxation, boosts energy, kick-starts the immune system, eliminates toxins, tones every muscle, increases confidence and clarity, and reduces pain (both physical and mental). 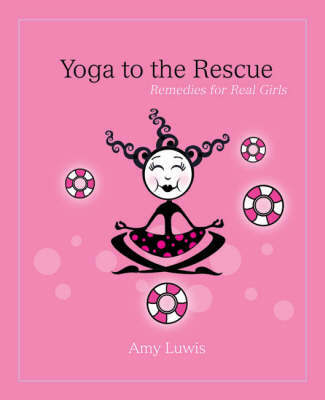 This amazing little volume is the easy way to begin or improve any yoga practice. It's packed with 48 classic asanas to start your journey to total wellness. Each page comes complete with lighthearted and amusing illustrations, instructions, a list of benefits, focus points, and, because laughter is the best medicine of all, amusing commentary. Plus, most of the poses include easier alternatives and each category features special "Mega Benefit Sequences." This tool is as enjoyable as it is helpful.